This post is a bit old but our son Luke lost his fight almost 2 weeks ago. We're taking a break to get away from real life and I'll most likely be taking a short break from blogging as well for the next week or so. I'm so sorry for your loss. I can't even begin to imagine what you must be feeling. I followed along with your tales of Luke and his strength and found some for myself along the way. Sorry for your loss JC. He fought as long as he could but God has plans for him now. You and your wife did as best as you could and he'll be forever remembered. All you can do now is stay strong for Luke and move forward. He'll want the both of you to start a fresh chapter. Take it easy bud and we will see you when we see you. Thanks for sharing JC. I wish your family the best. I am so sorry for your loss ! Sorry very much for your loss. No words. Be brave and strong hearted. So sorry to hear about this. Agree with DH that you guys did everything you possibly could and that's all that you can do. Wishing you and your family all the best as you get through this tough period. I am very sorry for you. There is a new star in the sky named luke. Sorry to hear about your loss. I wish you all the best during this difficult time. JC, I wanted to send my deepest condolences to you and your family. No words can do justice to what you must be going through. I'm keeping you in my thoughts and if there is anything we can do to help, please let us know. Thank you for sharing Luke's story and the journey you went through with him. My deepest condolences to you and your wife. Sorry to hear that Luke lost his fight. Sorry to hear this sad news. My deepest sympathies for you and your family. Very sorry to hear about Luke, wishing peace for you and your family. There's nothing we can say to reduce your pain buddy, but know that our thoughts and prayers are with you two. My deepest condolences. I followed the journey all the way along and I was devastated to find out Luke didn't make it. But you two guys did all you could. Wish you guys the best through this difficult period. Sorry to hear about that. I wish you and your family all the best during this difficult time. I've been following the other blog about Luke and was heartbroken to read about it. I am so sorry. I pray your family finds calmness and peace in this terrible time. I am greatly saddened by your loss! I wish you and your family have the strength to go through this difficult time. This is horrific. I wish I could more than just pray for you. Be strong. So saddened to hear about your loss. My wife and I followed Luke's journey and are praying for you and your wife to have strength in these unimaginably difficult times. JC, I'm so sorry for your loss. Take care and I pray that you and your wife will find strength to carry you through this most difficult time. My condolences for your loss. I pray you and your wife find peace and strength. Take pride in knowing you did all you could for your son. You all will be in my prayers. I feel truly saddened at your loss. Please accept my condolences. My prayers for your family to find the strength to cope with this immense loss and grief. No words. All my condolences to you and your family. My deepest condolences to you and your family. Take your time, we will be here when you return. A lovely photo and I'm so sorry to hear this. My deepest sympathies to you and your family. May God bless you not only in your time of sorrow but at all times. Condolences to your entire family. You fought hard for your little one and appreciate you sharing a very difficult and private moment with all of us. When i was going through some really down times someone recommended i read "The Prophet" By Kahlil Gibran it changed my life here is his excerpt on Death because i can not express in words how sad i am for you. I hope this reaches your family Stay strong and we will all be here whenever your ready to return you are one of my biggest inspirations. I am so sorry to hear of the loss. 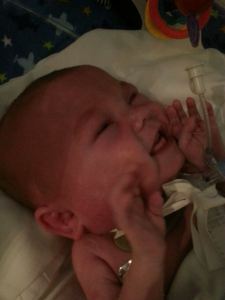 You all fought as hard as you could for such a precious and beautiful baby. My prayers and thoughts are with you and your wife. So sorry to read that. My thoughts are with you all.